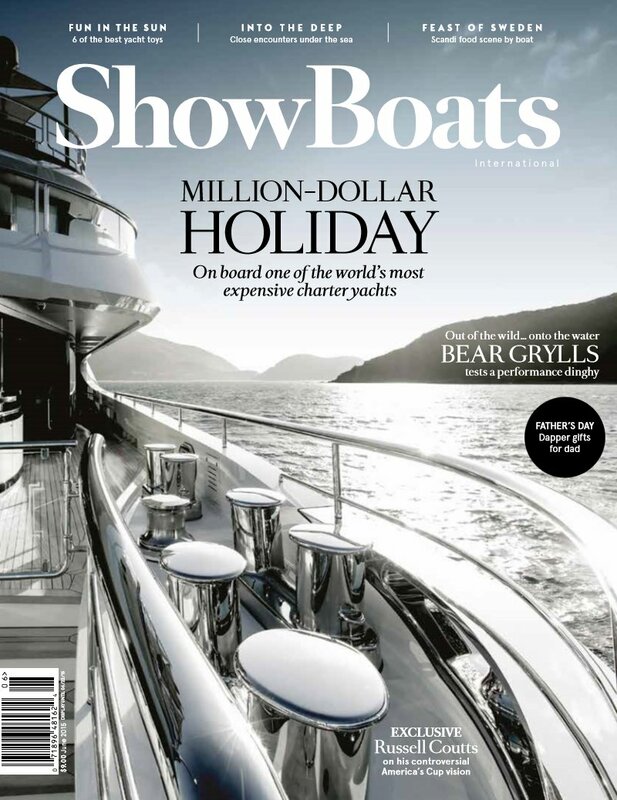 We are excited to share the June 2015 issue of ShowBoats International Magazine featuring Bobby Genovese and the BG Yacht Collection by Marilyn Mower. Bobby Genovese made his fortune in the same way he has approached yachting: acquiring companies and yachts in rapid succession. Here, he shares his ventures into the business of fun with Marilyn Mower. “WHO HAS MORE FUN THAN US?” If you watch Bobby Genovese race his kids up a 55-foot natural granite rock climbing wall at his summer house in Canada, charge along on a polo pony, blast out of his Lake Rosseau boathouse in one of his vintage speedboats or Jet Ski around one of his charter yachts, you quickly understand the question is rhetorical. His face has two speeds: grin and bigger grin. I first heard about Genovese in connection with a 154-foot Feadship he’s refitting, Charade, thinking it might be a good story for Boat International Media’s Refit annual. 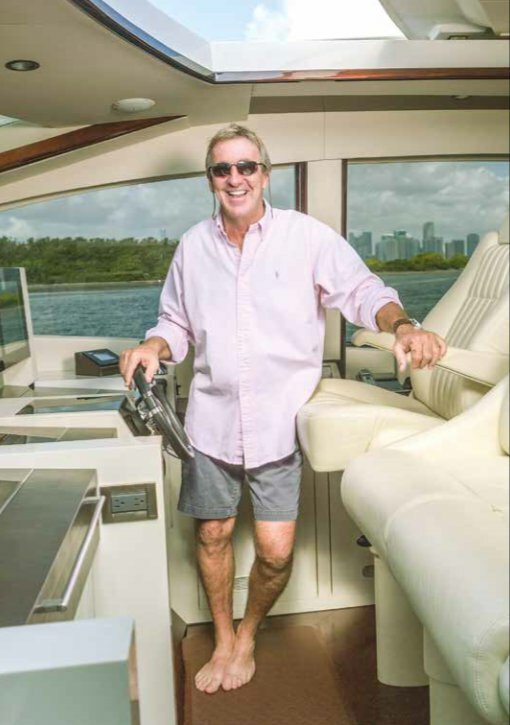 Since Charade was in full “Frankenboat” stage at Derecktor shipyard, his PA suggested meeting on one of his other boats in Miami Beach or at his polo and equestrian club in Vero Beach, Florida. 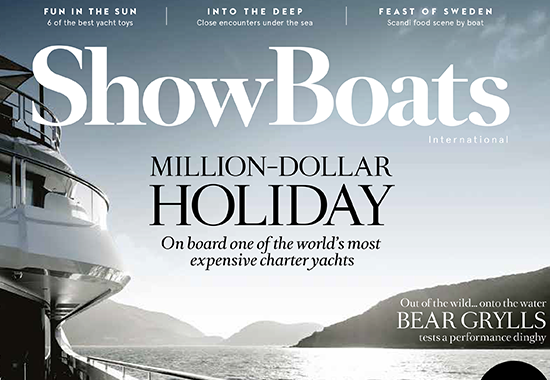 Serial boat owners, I’ve known aplenty; polo ponies added a new twist. Genovese is a Canadian entrepreneur with an improbable success story that sounds like a TV script; oh wait, his life was bundled into a script, eight episodes to be exact of a program called “Bobby G: Adventure Capitalist” that aired in 2008 and followed him and his CEO Marco Markin as they bought, built and sold companies. Genovese is chairman of BG Capital Group and BG Capital Management Corp., both based in Barbados, BG Capital Investment Trust and now BG Signature Resorts. Tall, tan and fit-looking under a shock of sandy hair, his style is friendly, folksy, self-effacing and yet totally confident and prepared for anything. He has a knack for establishing working assets, and the harder they work the better. We were sitting on one of them, a Lazzara 78 LSX sport yacht that chartered 170 days last year in Florida and The Bahamas. Our backdrop was another one of his yachts in the BG Signature Luxury Yacht Collection, a Sunseeker Predator 75 he’d added to the portfolio in December 2014. Read the rest of this story in our Press section.